The International Energy Agency (IEA) is an intergovernmental body committed to advancing security of energy supply, economic growth, and environmental sustainability through energy policy cooperation. IEA was formed via an international treaty of oil-consuming countries in response to the energy crisis of the 1970s. The governing board of the IEA, which is composed of energy officials from each member country, regularly reviews the world energy situation. To facilitate this activity, each member country provides energy experts who serve temporary staff assignments at IEA headquarters. These staff or secretariats support the governing board by collecting and analyzing energy data, making projections in energy usage, and undertaking studies on specialized energy topics. The governing board is also assisted by several standing groups; one being the committee on energy research and technology (CERT), which oversees and encourages international cooperation on energy technology. Implementing agreements (IAs) are the legal instruments used to define the collaborative technical activities. There are currently 40 active implementing agreements covering research topics such as advanced fuel cells, coal combustion science, district heating and cooling, enhanced oil recovery, fluidized bed conversion, fusion materials, solar heating and cooling, pulp and paper, hydropower, heat pumping technologies, hybrid and electric vehicles, high temperature super conductivity, wind turbines, and high temperature materials. The IEA IA-AMT was organized in 1986 by the US Department of Energy, US Army, US National Institute of Standards and Technology (NIST), and Oak Ridge National Laboratory (ORNL) to promote the application of advanced materials in transportation technologies. The activity focuses on establishing consensus on test methods and specifications across the national boundaries so that advanced materials will be available for rapid commercialization of energy-efficient technologies. Japan, Germany, Sweden, and Canada joined IA-AMT to exchange materials and jointly develop test methods to facilitate international trade on new materials. At the beginning, there were 3 technical annexes, including Annex I on exchange of information, Annex II on ceramic powders characterization, and Annex III on mechanical properties of ceramics. As an example, Annex II (ceramic powder) consists of 48 technical organizations (30 companies), all key players in ceramics powders and component makers. They came together from 3 continents and in 18 months, a set of test methods and specifications for advanced ceramic powders became available facilitating the free flow of this important raw material, and allowing the development of reliable ceramics for insertion into engine technology. The test methods later became national standards (17) and ISO standards (5). Activities in IA-AMT result in 4 orders of magnitudes, better ceramics, and today, many of them are used in engines (roller lifter, water pump seals, combustion chamber liners, auxiliary power turbines, etc.) for improving energy efficiency. The current focus of the IA-AMT is to facilitate the development of new materials solutions to improve fuel economy and durability of transportation systems while maintaining environmental friendliness for emissions, recyclability, and human health and safety. 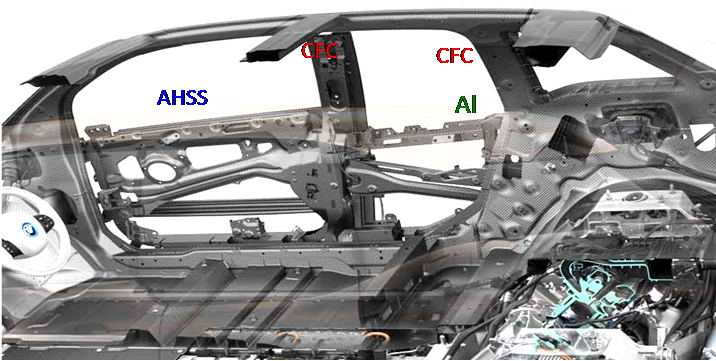 Examples of these technologies include (1) light weighting to improve fuel efficiency without compromising safety, durability, and comfort; fuel economy improves by 7% for every 10% decrease in a vehicle's total weight, (2) surface engineering including texturing coupled with advanced thin films and lubricant chemistry for friction reduction and improved durability; this technology has the potential of improving energy efficiency in energy transmission components by 10-15%, (3) novel, durable coating systems for thermal, wear and environmental management, and (4) revolutionary materials (nanomaterials, nano-structured materials, and nano-composites) that have the potential for weight reduction, improved performance, and embedded functional properties.